3 editions of A Moslem seeker after God found in the catalog. Add another edition? 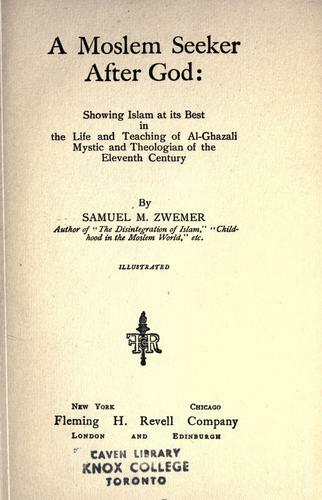 Published 1920 by Fleming H. Revell in New York .